Any type of electrical work never should be handled by an inexperienced or unqualified contractor. 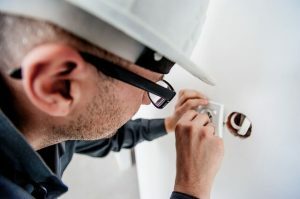 Here is a guide that you can use to ensure you are hiring a professional and reputable electrician. Any electrician should be qualified for work that they undertake. Most domestic-installation work will fall under Part P building regulations, that means it is required to be certified from an authority-building control in your area. One of the easiest ways to achieve this, is to make sure work that is carried out is conducted by a person who is Part P registered as a “competent person”. The Part P-registered firms have been vetted to make sure that their work adheres to these standards. They also use specialist equipment as well as know standards that are required for passing electrical safety checks. It is also worthwhile to check on your shortlist of electricians whether these forms are registered with a government-approved scheme, that are run by the bodies like ELECSA, NICEIC, NAPIT or others. You can contact these schemes directly to find out which electricians in your area are registered. If something does go wrong, you will be offered with support from these scheme operators. 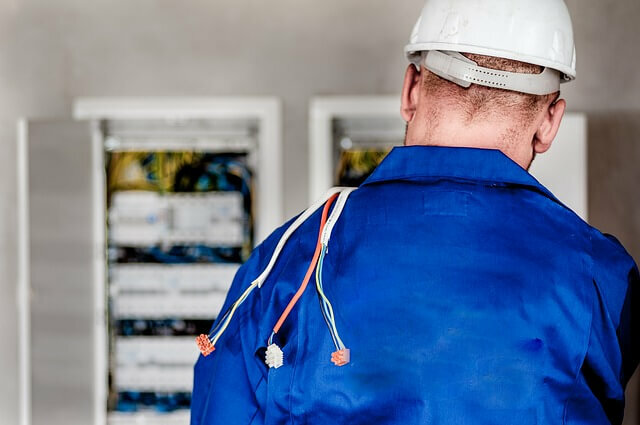 As with any trade, it is worth your while to get a minimum of three quotes when it comes to electrical work, regardless of how small the job is. The nature of this work will be the deciding factor on whether you will need a site inspection or whether they are able to provide a quote over the phone. How long has this business been trading for? Are they prepared to show you a few references from their customers? What are the guarantee periods on a new installation? Do they have insurance that protects your property? Most electricians will want to come out to the property so that they can provide you with accurate quotes. On the visit, you will be given an idea on whether this person can be trusted. An example of this, includes whether they arrived on time and kept the appointment. Did they offer you with a copy of their insurance documents, association memberships and their qualifications? Regardless of the work that is required each electrician should be providing a written and detailed quote. Keep in mind that the quote that is the cheapest does not always mean the best quote. You should rather take an electrician’s qualifications, professionalism and recommendations into consideration. The best electricians will first explain what they are checking on, repairing or installing before they begin the job. They will also show what they have done afterwards. At the end of the job, ensure that everything operates as expected. Also make sure that your electrician shows how you should be using any new electrical items, and supply you with the paperwork, which shows a record of what they have done.